The Streetsville BIA is hosting our annual Streetsville Canada Day Celebrations on Sunday, July 1st, 2018, and it's sure to be a party! There will be lots of crafts, games and activities for the kids, Rotary BBQ, live entertainment, raffle, and lots more starting at 6:00pm! Join us for the official Canada Day Opening Ceremonies & Cake Cutting, live entertainment and our Flag Raising Ceremony on the Village Square. 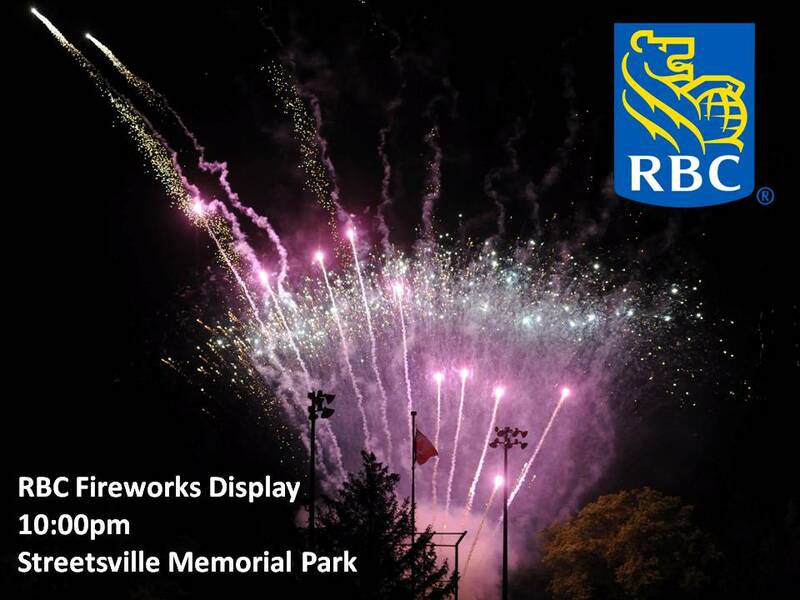 The Streetsville Pipes and Drums will then lead everyone down to Memorial Park for a live musical entertainment and at 10:00pm don't miss the spectacular RBC Fireworks Display choreographed to music! This year's breath-taking display will feature selections from The Tragically Hip as we pay homage to the late Gord Downie!